If you’re thinking of putting your home on the market soon, preparing your home for spring weather now could make a difference with a potential buyer down the road. 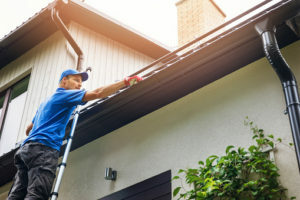 It won’t be long before flowers will be blooming and baseball season is in full swing, and it’s a great time to take care of a few things around your home. First, take a look around your home’s exterior. Have the winter winds and snowfalls done some damage? Often there could be roof shingles missing, or maybe your home needs new weather stripping. Check for unsightly algae or moss buildup and have it removed. If you can, have a look at your gutters…there could be clumps of leaves and needles that cause overflows and should be cleaned. Are you ready for your coming lawn growth? Now is an ideal time to rake away leaves and clear out branches and weeds from your yard and plant beds. If your home doesn’t have a sprinkler system, check your garden hoses for cracks and replace them if needed. Think about fertilizing your lawn in the next couple of weeks as well…the sooner your lawn has the nutrients it needs, the better. Is your air conditioner ready for warm weather? Have a look at your air filters and see if they need cleaning or replacing, and look into having your system inspected before the summer months. Most HVAC services offer an inexpensive maintenance plan…subscribing to such a plan could save you quite a bit of money in the future. Last but not least, take some time to check your emergency systems, including home alarms, smoke and carbon monoxide alarms, and fire extinguishers. It’s a good idea to check these systems regularly of course…spring is an ideal time to do so. Part of taking care of your real estate investment is preparing your home for spring weather. It’s always a good idea, but it’s especially so when you’re planning to put your home up for sale. Posted March 21, 2019 & filed under Berlin Real Estate.